...... And it also offer multithreading and batch conversion, which help you complete all tasks very fast. 1. 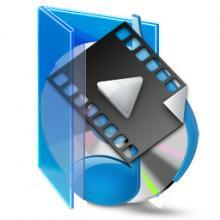 Convert AVI video or MPEG video from popular video formats. 2. Video Screen Crop/Pan, it provide a perfect conversion scheme to convert between different video aspect such as 16:9 and 4:3 video, whatever AVI to MPEG, WMV to MPEG, MOV to AVI, MOV to MPEG and WMV to AVI etc. 3. Batch conversion, you can enactment every AVI MPEG video converting task flexibly, and the task can be saved and load. Convert AVI, WMV, MPEG to AVI, WMV, MPEG-1, MPEG-2 and RM files with one click. Qweas is providing links to Tutu AVI MPEG Converter 3.1.9.1108 as a courtesy, and makes no representations regarding Tutu AVI MPEG Converter or any other applications or any information related thereto. Any questions, complaints or claims regarding this application Tutu AVI MPEG Converter 3.1.9.1108 must be directed to the appropriate software vendor. You may click the publisher link of Tutu AVI MPEG Converter on the top of this page to get more details about the vendor.